To create the most sophisticated solution in IoT – you have to design an application, that would perfectly work in tandem with all connected devices. Such design requires high scalability and security. And it’s even more about leaving all these buttons and touchscreens behind. 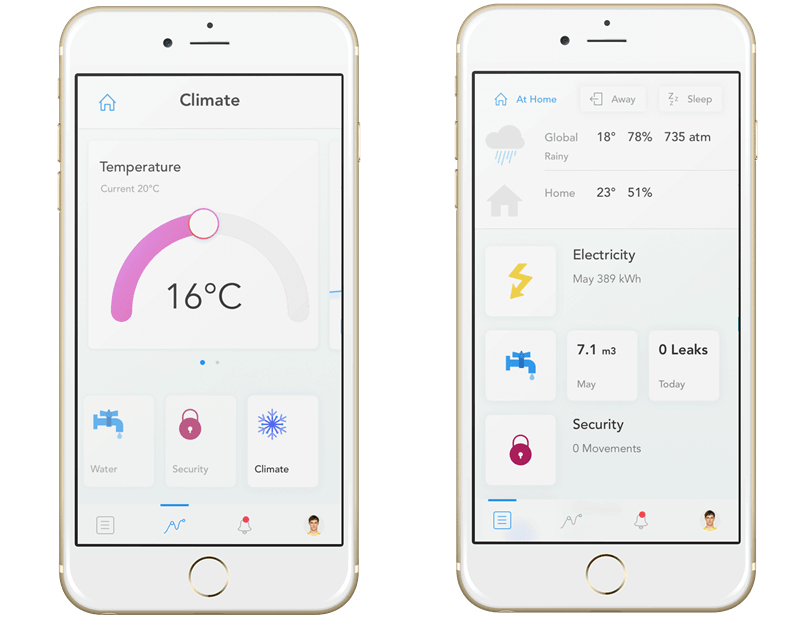 Stanislav Zadvornyy, Chief Design Officer at Softengi, has shared with us a few TIPS how to create a winning UI/UX Design for IoT App. His expertise is based on designing AZIOT HOME – a connected digital platform for living environment. 1. Mobile first. It truly is. When you create a new IoT solution, you face a lot of tasks in designing. Web version, desktop application, mobile App… They all need highly-professional and effective design. Stas is assured, that you have to begin exactly with mobile application. You become more focused on your content to provide quick and concise mobile experience for users. At the very beginning, the designer creates design blocks for mobile, which later could be easily transmitted and used within the desktop version. 2. Create really scalable Apps. Think big! Such life approach is pretty applicable in IoT application design too, assures Stan. Every application can be scaled and extend its functionality sooner or later. As for IoT applications, they require connectivity between a wide range of sensors, connectors and other devices, aiming to work with a whole ecosystem at a time. At the first stage, you have to create a module design, which could be easily expanded and scaled as new features emerge. In case of AZIOT, new devices can be added to the system in due course. So designers had to take into account such opportunity at the very beginning of working on the project. 3. Button is not always an option in IoT Design. IoT applications give us an opportunity to reimage common interfaces, such as buttons and touchscreens, and create more interesting and involving ones. For example, you can use infrared camera to detect hand gestures or recognize fingers, eliminating the need in buttons to authorize the application entry or other options. More about fingertips scanning as a way to unlock automatically the door in one of our IoT case studies – Smart Door System.